I adore reading, I read read read read. My favourite thing to read is novels, but I can read most anything as long as it’s interesting. So a month or so ago, a friend told me how much she loved the Goodwill Bookstore here it town I decided to check it out. 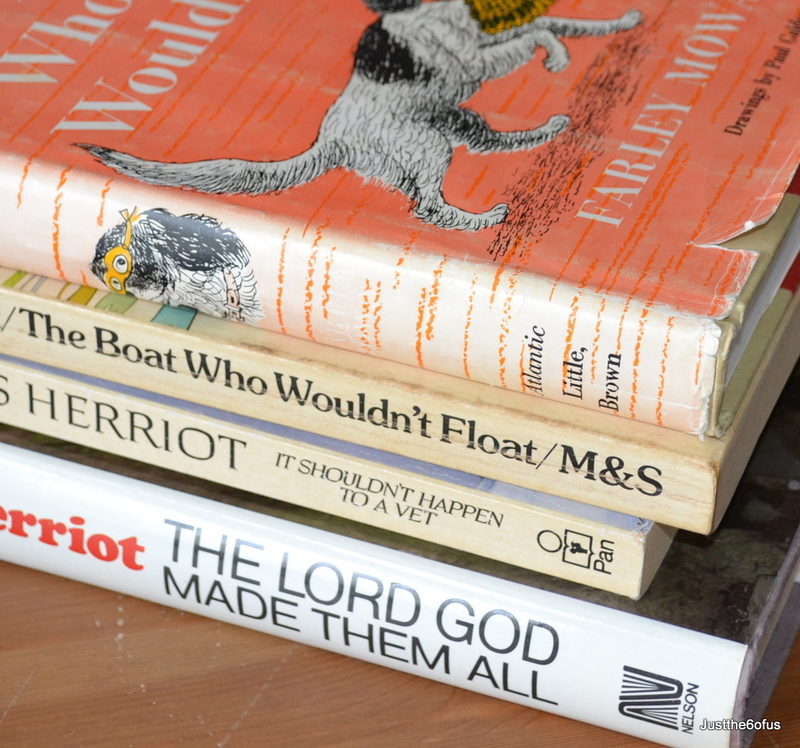 Two Farley Mowat books , ‘the Dog who wouldn’t be’ and ‘The Boat who wouldn’t Float’ and two James Herriot books – ‘It shouldn’t happen to a vet’ and ‘The Lord God made them all”. I was SO excited because not only were they in great shape, I didn’t have to spend hours looking through shelves and shelves of musty books. I know that I can go on EBAY or amazon and find these books, but then I’ll be paying shipping and I would much rather support a local charity! I grew up reading these books and I’m always attracted to people who’s writing is humorous and these guys fit the bill. I LOVED James Harriot’s humorous books about veterinarian life back in the day in England… and I actually can’t wait to get my hands on a copy of ‘Owls in the Family’ by Farley – which was one of my favourite books as a kid. So I’m looking forward to more book buying expeditions. Jason might not be however because my bookshelves are already over-flowing and I still have to find homes for these finds! That’s how I felt – how could I have missed this bookstore for so long? So go! You’ll love it. i love james herriot too… my husband totally doesn’t get why i find these books so so so so funny! still haven’t hit that bookstore yet and it’s so close to my house. what is my problem?